When mentioning to traditional pottery industry of Vietnam, people can not forget the name such as Bat Trang, Chu Dau, Phu Lang,… Most of the names are located in the northern of Vietnam. However, people also remember a name come from the Central which is famous with unique products. 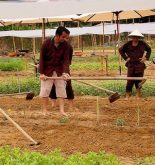 That is Thanh Ha Pottery Village. 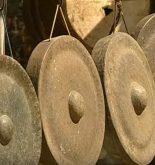 Derived Thanh Hoa, Thanh Ha pottery village was formed from the late 15th century and thrived with the port of Hoi An in the next century. Located on the bank of Thu Bon river, the village is easy to reach by going about 2 kilometer to the west of the ancient town. 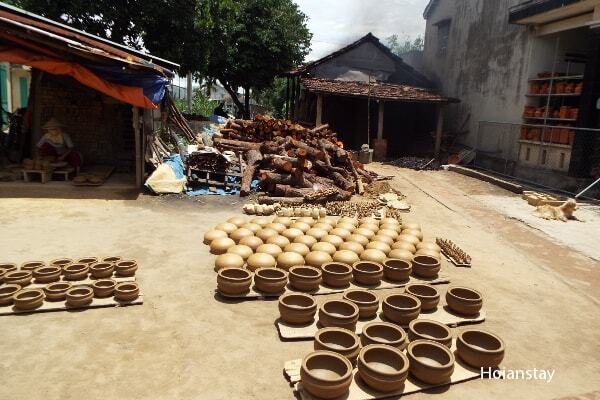 In the past, the artisans of Thanh Ha village were invited to Hue citadel to make special products for Nguyen Dynasty. They were also promoted as mandarins in Nguyen dynasty for their contribution and devotement for the King. Thanh Ha is the supply of materials for constructing building in Hoi An. It is not surprising that the products under Thanh Ha name are brought to many places in the S shaped country. 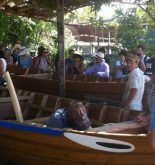 It is the convenience in trading on river and sea that help the village flourished. Handicraftsman in Thanh Ha village. In recent years, producers have improved models to suit many tastes in ceramics furnishing and ceramic souvenirs. 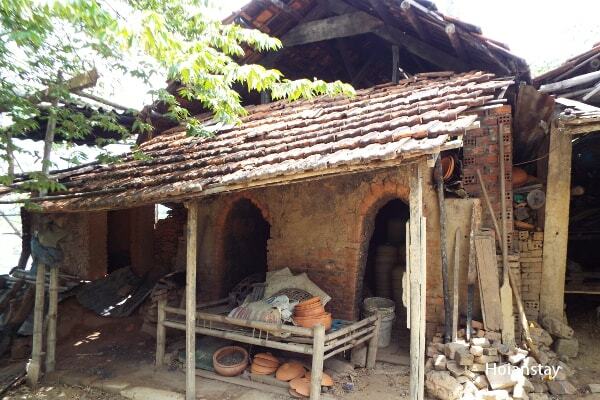 The pottery village not only supplies products such as rollers, jars, jars vases, bowls to serve the people’s livelihood but also provides bricks, tiles, tile flooring for old houses in Hoi An and the surrounding areas. With the main raw material is clay, under the hands deftly manipulated by craftsmen, workings are created to satisfy the dream of beauty. Products to serve utensils daily life activities, such as cups, bowls, jars, vases, bowls, shapes and breeds … bring many different styles, colors and abundant particularly lighter than the same products of other provinces. 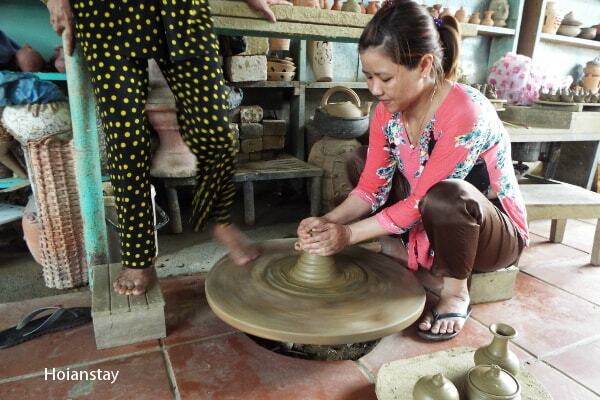 So far, Thanh Ha pottery village exists and operates manufacturing facilities and handcraft with traditional techniques. Therefore, Thanh Ha pottery village becomes a living museum, a valuable resource for scientists to learn, study of ancient pottery of Vietnam in particular and Southeast Asia region in general. 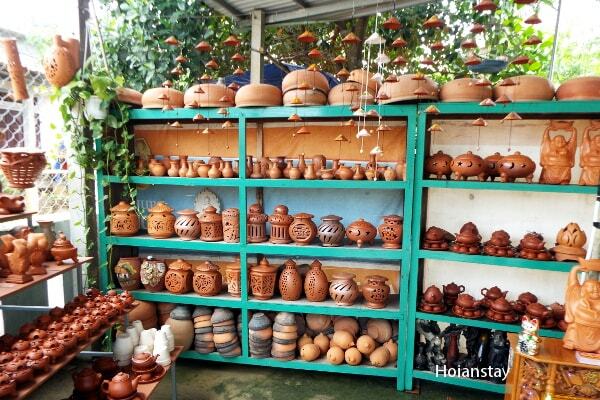 Visit the village, in addition to unleash selection of ceramic souvenirs, tourists can observe the skilled manipulation of the talented hands of the village artisans.